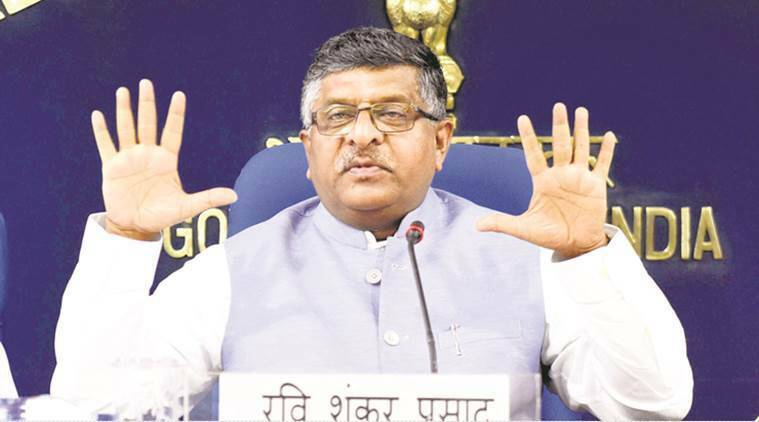 Union minister Ravi Shankar Prasad on Tuesday stressed that incidents of stone-pelting have come down in Kashmir and flesh trade across India has taken a hit after demonetisation . “Kashmir me pattharbaji ki ghatna me kami aayi hai, log paise deke patthar fekte the (incidents of stone pelting have come down in Kashmir… people used to take money to throw stones),’’ the Law Minister told reporters. He said flesh trade too has come down because pimps used to be paid in cash. Referring to former prime minister Manmohan Singh’s description of demonetisation as dacoity, he said it does not seem to be his language but that of a scriptwriter who also writes speeches of Rahul Gandhi.